In the coming months, Lincoln County residents can expect to see even more of those giant wind energy towers rising above the prairie. Last month, Xcel Energy and Vestas Wind Systems announced their plans to build Colorado’s biggest wind farm in the local area. This huge 300-tower project is expected to produce 600-megawatts of electrical power which is enough to power 180,000 homes. 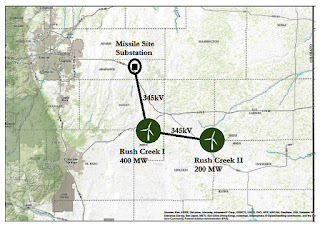 Called the Rush Creek Wind Project, it is currently owned and being developed by Invenergy Wind Development LLC, a company headquartered in Chicago, Ill. Once completed, Xcel Energy will take over the ownership and operation of the new facility. The wind farm in Elbert County, called Rush Creek I, is the larger of the two. It will consist of 200 wind turbines capable of producing 400 megawatts of power. It will be constructed south of Highway 24 in eastern Elbert County. Rush Creek II, the smaller wind farm, will have 100 turbines capable of producing 200 megawatts of electricity. It will be located east of Hugo in the area where the three counties meet. How many of those 100 wind towers will be located in Lincoln County has not yet been determined. The total area of the project is expected to be about 95,000 acres. The vast majority of this land is currently used for agriculture. 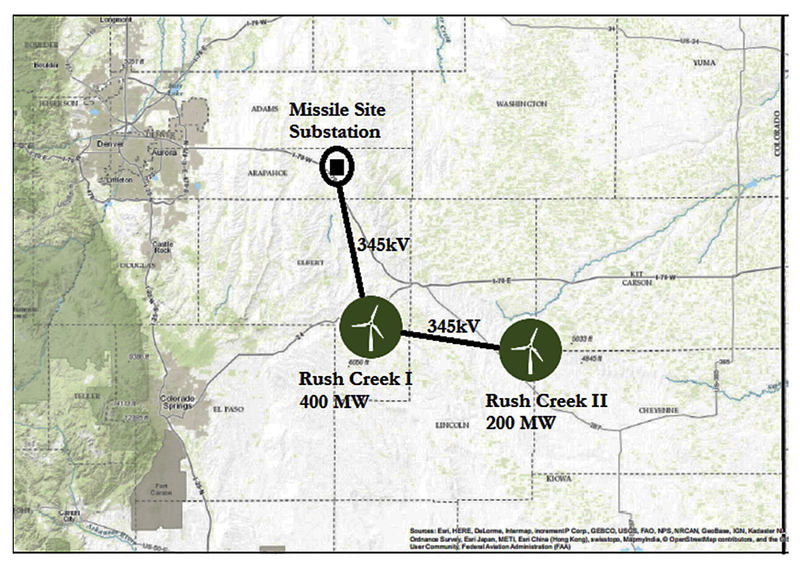 About 90 miles of transmission infrastructure will also have to be constructed to link the Rush Creek I and II wind farms to the Missile Site Substation owned by Public Service Company of Colorado north of Deer Trail in Arapahoe County. Vestas Wind Systems, a partner in the Rush Creek project, is Denmark-based company and one of the largest wind turbine manufacturers in the world. It will be producing the towers, blades and nacelles needed for the project at its four factories in Colorado. Each of the Vestas wind turbines are capable of producing two megawatts of electricity. Before construction can actually begin, approval for the project must be given by the Colorado Public Utilities Commission (PUC). Mann said Invenergy hopes to begin construction in late 2016 or early 2017. The plan is to complete the project and begin generating electrical power in 2018. Rush Creek is the latest wind energy project to be constructed in Lincoln County. Over the past five years, four other wind farms have been constructed within the county’s borders. Currently, 472 wind towers are operating in Lincoln County. Colorado is one of the nation’s leaders in renewable energy. Currently, 14 percent of the state’s electricity is produced by wind turbines. A total of 1,880 wind towers have been erected and are generating power across the state.